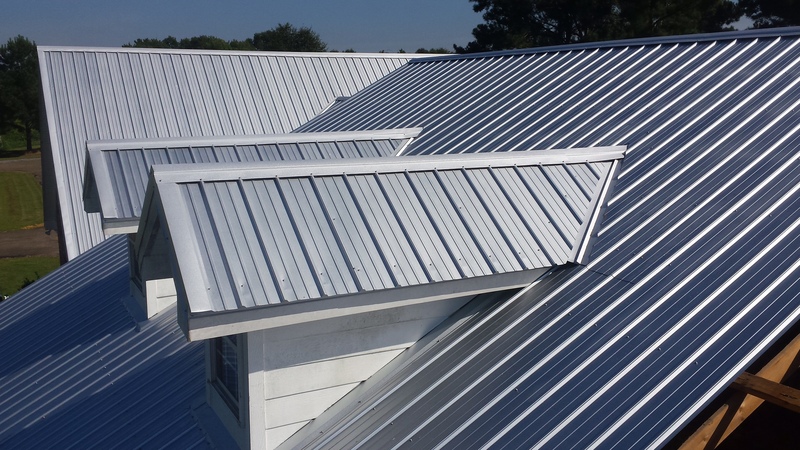 Metal roofs have become a popular alternative to shingles. This is due to the fact that metal is lightweight, maintenance-free, fireproof, energy efficient, durable, and recyclable. Furthermore, metal roofs have a life expectancy of over 50 years and houses with metal roofs may receive a discount on the homeowner’s (fire) insurance. A metal roof will cost more to install than a shingle roof, but the difference is not as great when re-roofing. In addition, metal can be applied over old shingles, so the tear-off expenses are eliminated. Most metal roof manufacturers provide a 40 year limited lifetime warranty. Complete our Request a Quote form for a free consultation and estimate with one of our professional roofing advisors.